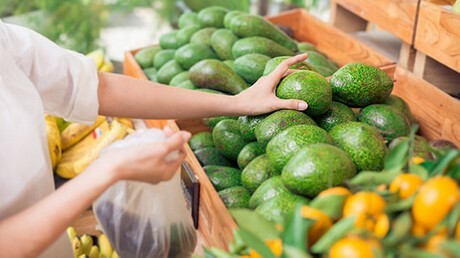 The avocado fruit has been dubbed a superfood for its nutrition and health qualities, and its popularity with consumers is rocketing. That means it’s more important than ever that producers and importers can rely on fast and reliable transport of this cargo. MSC’s global network, expertise and advanced reefer technologies are helping avocado producers from countries like Chile, Peru and Israel to reach different parts of Europe, where imports tripled between 2013 and 2017. Global production is expected to reach 6.4 million tons by 2020, with consumption in the US and China also growing rapidly. MSC is a world leader in reefer cargo services, offering the best tailor-made end-to-end refrigerated transport solutions for all kinds of fruit. With one of the world’s largest and most advanced reefer container fleets, we understand the importance of preserving refrigerated cargo from the moment we receive the container until it reaches the recipient’s door. Our customers have a wide range of reefer technologies at their disposal according to their needs, including the XtendFresh controlled atmosphere (CA) solution for high-respiring perishables such as avocados and bananas, and most recently introducing the Star Cool CA system from Israel. These technologies enable MSC to transport fruit and other refrigerated cargo over longer distances, creating tremendous new opportunities for exporters and importers. In addition MSC offers tailor-made end-to-end transport solutions across road, rail and sea and pre-trip inspections to ensure the very best door-to-door service and equipment to meet customers’ requirements, and in 2018 we transported over 1.6 million TEU of reefer cargo. MSC also offers customers the opportunity to learn more about new reefer technology and how it keeps cargo fresh at the MSC Reefer MasterClass. These can be arranged anywhere there is demand, offering the chance to meet representatives from the whole supply chain, and see real-life demonstrations of how a reefer container operates on its journey. To find out more about how we can support your avocado business, come and see us at Hall 25, Stand B03 at Fruit Logistica Berlin from Feb 6-8.